If you’re nearing or at the end of your weight loss program you’re probably wondering what your next step should be. How do you end your diet but also keep your new shape? Returning to old habits is simply out of the question! So here we offer some simple tricks to eating less. Hopefully these tips are helpful to you throughout Christmas and New Year too! Breakfast really is the most important meal of the day. 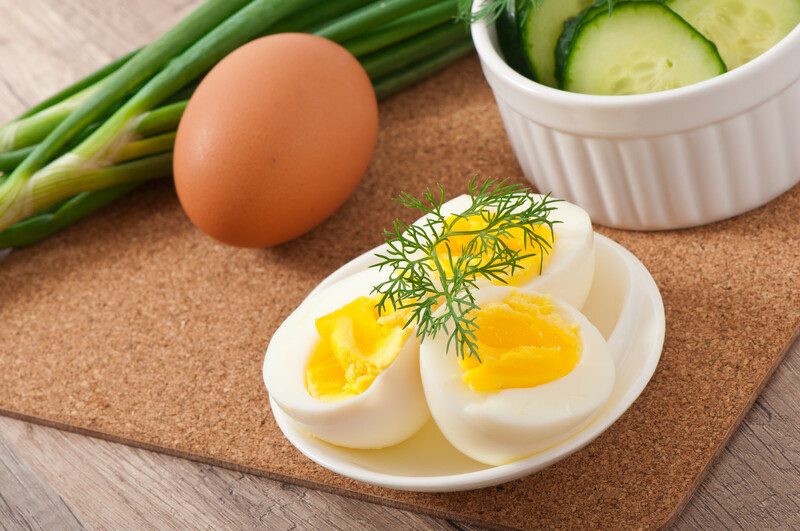 Eating a good quality protein such as eggs for breakfast keeps you full for longer and satisfied throughout the day. One lovely benefit of feeling full for longer is less calorie intake. Add a healthy fat like avocado and you’ll be on your way to an even more satisfied belly, with the ability to go longer between breakfast and your next snack or meal. Drinking a sufficient amount of water not only helps you eat less but has many other health benefits. Water is the most natural, healthy appetite suppressant there is and drinking one glass before a meal helps fill you up. Water also boosts your metabolism and helps fight fatigue. If you feel foggy during the day, topping up your water intake can make a huge difference. One of the biggest mistakes you can make with controlling your appetite and what you eat is not having enough of the right foods available when you are hungry. As a high priority, make sure your fridge and pantry is stocked with plenty of nutritious food. When you’re hungry you’re at your weakest and this is when cravings usually hit. Be smarter than your cravings and fill up on real food first. If you still have a craving then there is only a tiny amount of room left in your stomach. Make life easier for yourself by prepping meals ahead of time so they are ready to go when you need them. A great extension to preparation is making healthy versions of the treats you feel you cannot live without. For instance, if you are a chocolate lover, search for a wholefoods version of your favourite chocolate treat. You can make wholefoods versions of chocolate cake, rocky road, chocolate fudge, as well as bliss balls and other goodies. There are endless recipes online for sweet treats packed full of nutritious fillings like almond meal, cacao, goji berries, macadamias and walnuts as the main ingredients. When you serve yourself dinner, try using a bread plate instead of a full-size dinner plate. Same goes with drinks, use a smaller glass for wine and other drinks that contain high calories. My Fitness pal is a free app you can install on your smart phone with the ability to scan barcodes to get accurate calorie counts. It takes the hard work out of calorie counting and also gives you a breakdown of protein, fats, carbs, and sugars. Find something else to do. While social events and outings can be centered on food you do have the choice to do something different. Whether you take a small child for a short walk, offer to hold a baby, play photographer, do a favour for someone or simply practice some mindfulness by being present in the moment and not mindlessly eating. You do not have to let the food dictate what you do. Be fully aware of how food nourishes or drains your body. Think of food not only as affecting your physical health but also your mental health. As an example sugar is known to affect the body and mind, causing fluctuations in mood and anxiety levels. Thinking of food as nourishment will help you make better choices as to what goes into your mouth. I hope these tips help make life easier for you at the end of your program and over the silly season. And I hope they help you maintain your new, slimmer you. Remember, if you are at the end of your hCG program, you should not let your weight creep up more than 900g. If this does happen, take action straight away with a steak day or an apple day. Good luck! If you are considering another round of hCG to start off the New Year, be sure to visit our hCG Shop.